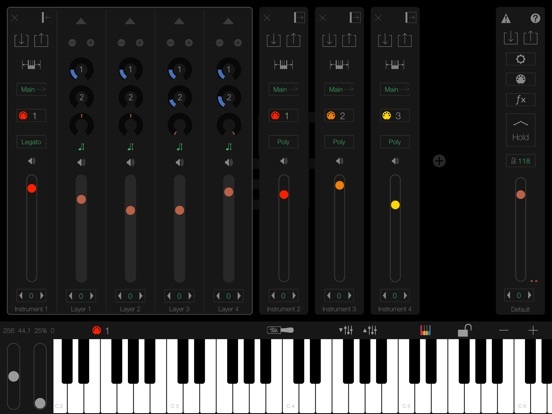 LayR-Multi Timbral Synthesizer, from Living Memory Software, got a big update full of features and fixes! They've added a new Hold mode on the arp, while retaining the old method as a latch. You can now edit parameters from handy "Dial Strips" for each layer in LayR. Contest: I have two copies of LayR up for grabs! Register and comment on this post for a chance to win. Codes will go out early Saturday to give the winners a chance to play with it over the weekend! Contest closed! Congratulations to burnalot, and Osidenick! Though LayR still doesn’t have MPE, this is one contest I’d like to win. I want to put the synth through it’s paces but, in my context, that’s not worth 36CAD. LayR for FREE?! Yes, please. It's very pretty, would like to try it! One bad apple don’t spoil the whole bunch, girl! Waiting to take this for a spin !! In less enlightened times, only the elite initiates knew to pray for the blessing of RNGesus, but now the generosity of RNGesus is available to all! Praise be, RNGrmadgeddon is at hand! Layer me up .... pleeeese! I was about to ask why this app costs $26, but then I realized the Korg synths are all over $25 too. I guess I’m being biased toward big name developers, or by emulations of classic synths by said big name developers (which is really just their contracted developers, like Detune Ltd)...? Yes , layR me pls. Frito LayR-Multi Timbral Synthesizer. Food for the ears. Me hungry for that. Throw me in the contest for layR, this would be a fun one to win! Looks awesome! Would love to try it! Oh man, I'd love to get LayR! Have yet to pick LayR, but the demos I’ve heard do sound great. Thanks for the chance to win! What’s the consensus on this synth? Have it! Love it! Get it! Def worth the price, even if you don't win the promo!! Hell yeah! I would really like to get my hands on one copy of Layr. Love your site! Want a copy, please! I've been checking this on the appstore every other day for the last few months, hoping for a sale. This is one app I’d like to try ! I’ve been hoping for a sale as I missed the promo price! Cool beans for the contest! This contest is now closed, no more entries are being accepted. Sorry you missed it!